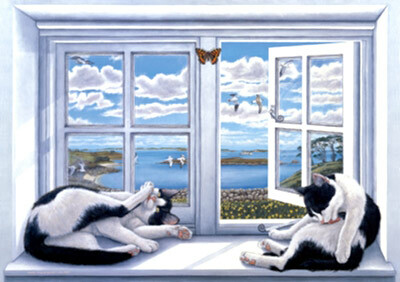 Address: The Swanborough Twins Gallery, Rosehill Studio, Rosehill, St Marys, Isles of Silly, Cornwall, TR21 ONE. 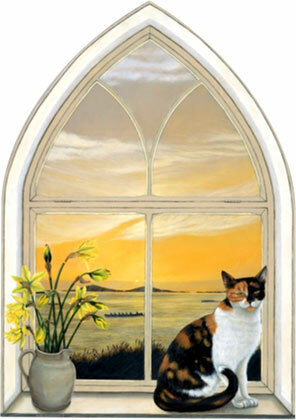 Visitors welcome- please phone for opening times. 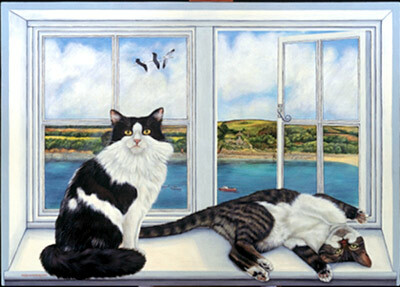 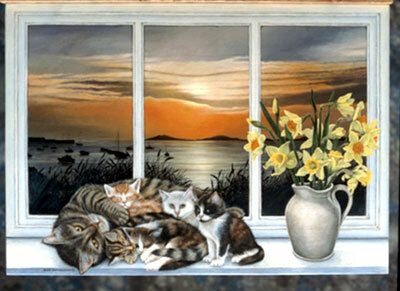 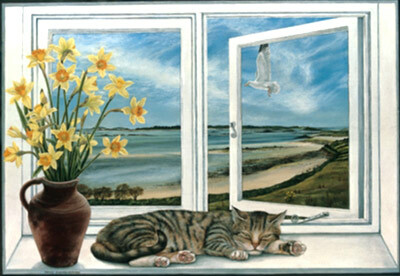 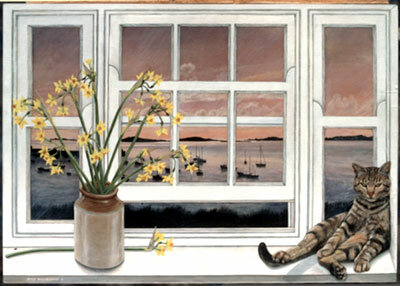 Patsy Swanborough is one of twin professional artists who specialise in a series of Cats in Windows with Scillonian seascapes. 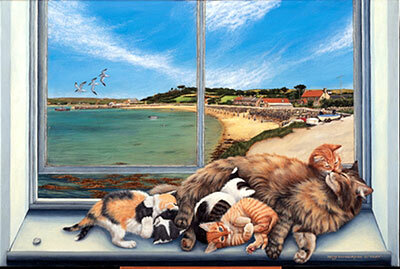 Patsy has original paintings, prints and a range of gift items for sale in her studio/gallery on the Isles of Scilly. 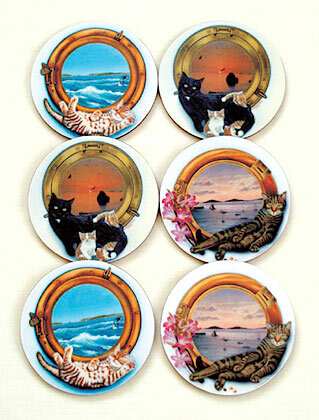 These include placemats, coasters, trays, chopping boards, notecard wallets, cards, bookmarks, fridge pads and letter openers. 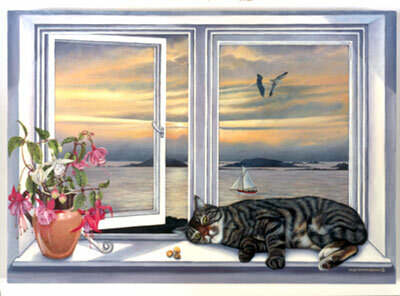 They are also printed onto canvas to make life sized trompe l,oeil to “decieve the eye” and make a blank wall look as if it has a window.